Derrick Kosinski & Scott Yager are joined by Jemmye Carroll for Part II. On Part II of this massive semester of Jem Class, Jemmye casts her (unofficial) votes for the Challenge Mania Awards, theorizes what could have been if Camila was still a force on The Challenge and how that would have affected the trajectory of other female competitors and she breaks down the multi-layered internet beef between her Group Text known as "Forever Petty", Kailah and Marie and Angela, Amanda and ... See More Nelson that kicked off the "December to Remember" in the Challenge world. 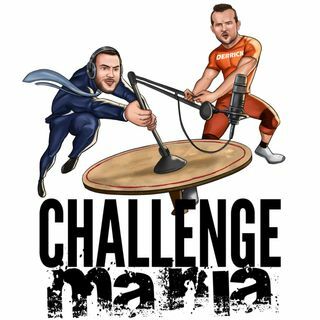 This Sunday, January 6th you can win tickets to the Challenge Mania Live event of your choosing AND $1500 in travel expenses to get there, courtesy of DraftKings! Head to dkng.co/challengemania to play. T&Cs apply. See site for details. FREE SHIPPING through 1/22 over at www.ChallengeMania.Shop if you spend $45 or more!